ATTORNEY GENERAL Faris Al-Rawi says United National Congress deputy political leader Jearlean John should not be so hasty in celebrating a court victory against allegations of bribery, among other things, in the Eden Gardens case, as that matter is still to be tried. “Not so fast, Jearlean,” Al-Rawi warned at a press conference yesterday, while berating a daily newspaper (not Newsday) for what he described as a misleading headline and story. On Tuesday, Justice Eleanor Donaldson-Honeywell set aside her previous orders granting an extension of time for the service of the lawsuit. The orders, the AG said, were sought at a time when the HDC and his office were continuing their investigation into the allegations of wrongdoing. 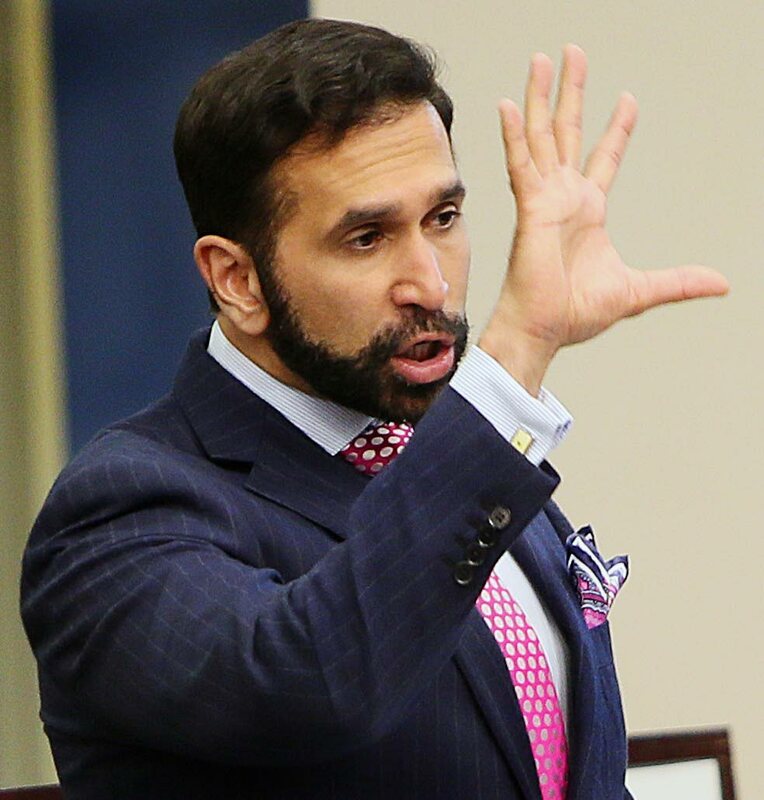 Al-Rawi repeated statements made in his ministry’s press release yesterday, which said the judge’s ruling has only delayed the final outcome of the litigation. In that statement, Al-Rawi said the State will re-file the claim in the shortest possible time. He repeated this in yesterday’s press conference. He took pains to explain the timeline which resulted in the delay, while assuring that the delay was procedural and the State had made no errors in its case. Al-Rawi said the AG’s legal team was preparing to refile the case, with the intention of joining this case with that of two of the defendants, which is already under way. Reply to "AG: Not so fast Jearlean"